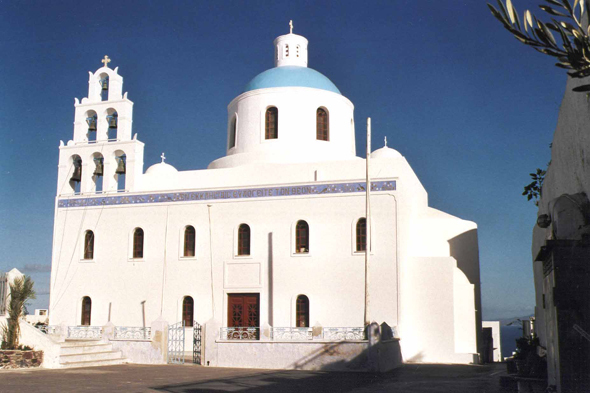 The church of Oia. The Orthodoxe religion is recognized officially by the Constitution which doesn't envisage separation between the Churchand the State, it is practised and taught in the schools. And the non-orthodox professors are often the object, still today, of discrimination.